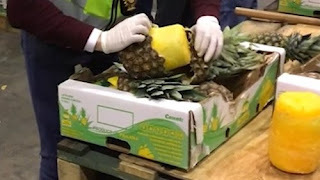 A Colombian drug smuggling ring has been busted by Spanish and Portugese police, who seized 745kg of cocaine hidden inside fresh pineapples. 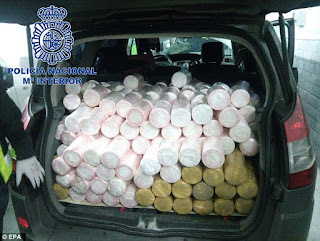 The Iberian police forces arresting nine members of a gang that transported the drug from South America. 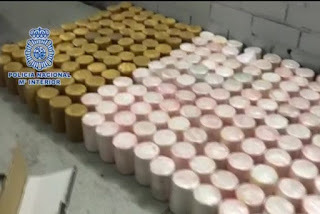 They said a joint operation that unfolded over several months led to the arrests and broke up an international smuggling ring led by Colombians. Also seized was 400,000 euros ($489,000) in cash.